Max For Live, Environment for audio development from Cycling'74. 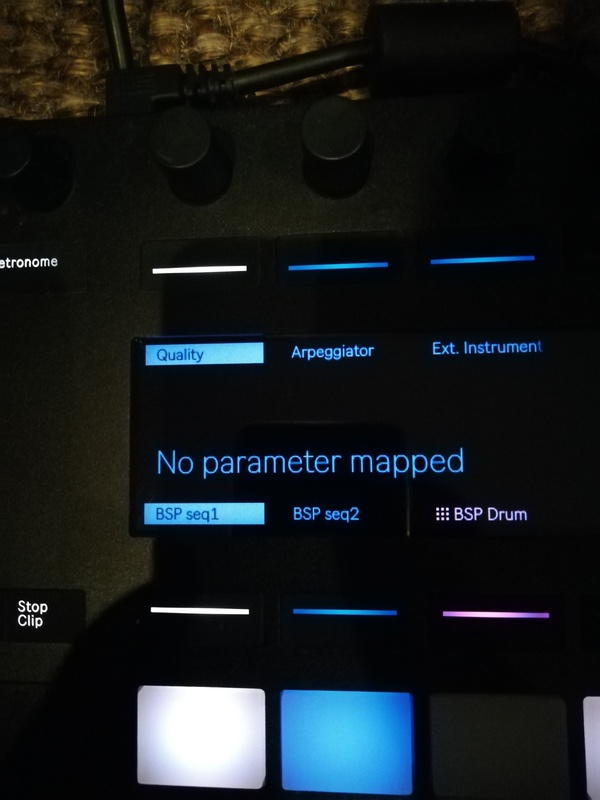 Peaveycroquette's review (This content has been automatically translated from French)" Mechanical MAO"
No installation worries, M4L (Max 'four' Live) is integrated into Ableton Live, a kind of library. 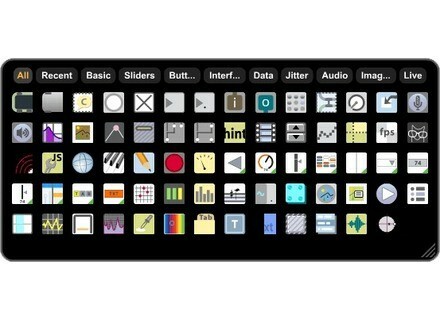 Since version 9 Live, M4L is integrated into the suite, the busiest bundle. Max loads in the Live set automatically as needed. No manual to speak of, but a help line interactive, full of tutorials and examples. A search of the assistance is essential if we want to create their own patches. I'm working on an old G5 and a MacBook Pro, X.9 system. 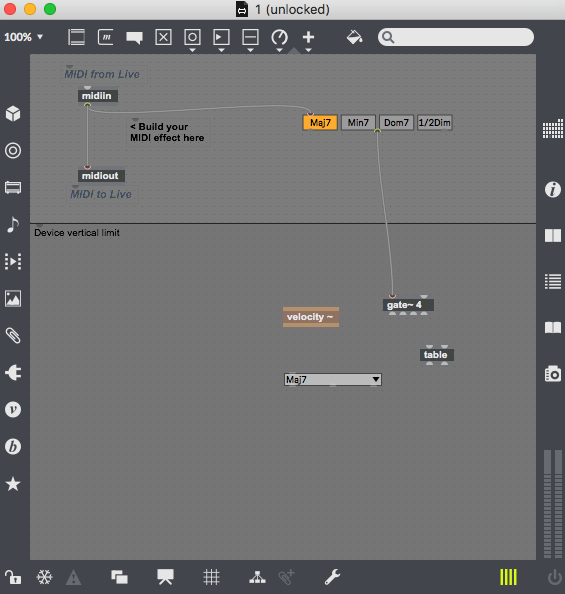 I started using Max as an extension of Live, that is to say, to dig into the massive library of plug-ins, MIDI, synths treatments, etc ... For besides the patches supplied as standard, already many, simply login to the site <http://maxforlive.com> to enter the wonderful world of M4L community. Whenever I am faced with a technical limitation of Live, I found the solution on this site where a guy had the same problem as me and has decided to make a patch to solve M4L. And then, inevitably, I started getting interested in creating patches ... it's complex, it must go through the tutorials (in English), open all patches already made an attempt to grasp the logic ... but, like Reaktor, the possibilities are endless. The most important thing is that some tasks can be accomplished only through this app. It's quite exhilarating, because it operates in an environment already well designed (Live), but we can act within to meet its own expectations. It's time consuming but quite enjoyable! The instalation is done without problem. We download the update from the ableton site, 249 e if we live 8 79th if you have max msp + Live 8. 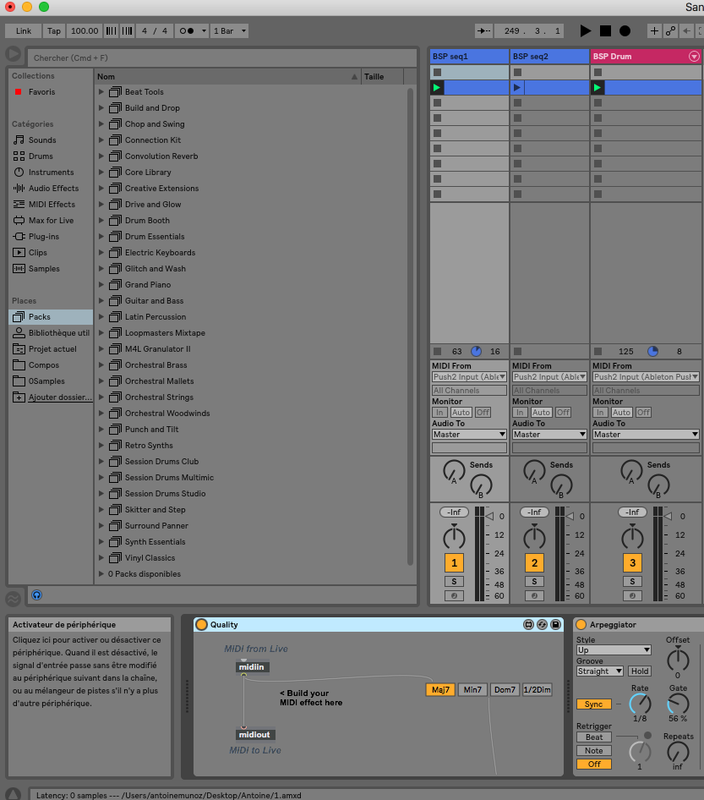 No inconsistency is an adaptation of Max to work in Ableton Live. The manual is complete in English but unfortunately not in French yet scheduled. The setup is fairly simple if one uses the original presets. intel xeon 2ghz prossesseur, 4 GB RAM, 1 disk of a tera + 2 500GB cache/7200trs 32 mo. Sound card edirol fa 101. Live works perfectly, I never managed to exceed 45/100 cpu despite the number of plug-ins abused employees. I use it for some time, my teacher makes me computer music discover it in detail. What I love most, patches of effects and instruments trendy and especially the ability to create their own instruments, so a total freedom of creativity and an absolute personalities. Furthermore, we combined the video with little modulation! For me it's simply the killing! I do it again this election without the least eSite. I will not tell you his opinion on price. Ableton offers a 30% discount off its Live DAW, Push controller, Max for Live and instrument/effect packs until Friday June 12th.